Statewide, region or national membership agreements and rule books that are published by sports/recreation associations often result in liability issues between the association and its local members (ex: teams, leagues) that need to be addressed. As usual, attempts need to be made to transfer the risk of loss to the responsible party whenever feasible. Most membership associations sanction or approve various competitions on a local level. 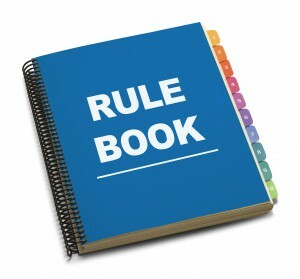 The sanctioning rules and agreements are often specified in both the membership agreement and the rulebook. Whenever a spectator or a participant is injured at a local competition, it is common for the association to be shotgunned into the lawsuit along with the local sports organization and its directors, officers, employees, and volunteers. The result is that the insurance carrier for the association is forced to spend money in defending the association in a lawsuit in which it probably had no business being involved. This could result in a less attractive loss history for the association and future rate increases or unavailability of coverage. A national softball association client of our was shotgunned into a lawsuit after a coach assaulted an umpire during a local competition. The legal basis of recovery was that the coach was a hired employee of the association, which had a duty to investigate the criminal record of the coach prior to hire. Presumably, had they done this, they would have uncovered incidences of violence and woul d have never hired the coach. Of course, this is preposterous because coaches of local leagues are almost never employees of the national association. Nevertheless, such an incident can result in the insurance carrier of the association spending $5,000 to $10,000 in legal defense costs to have the association removed from the lawsuit. This trend of associations being shotgunned into lawsuits where they have absolutely no operational control at the local level has resulted in the need for additional risk management precautions. As a result, we have developed specific language for our clients outlining what the national association is and is not responsible for based on operational control. If such a statement is placed in the membership agreement or the rulebook, we have found that it is relatively easy to convince the plaintiff’s attorney to immediately drop the association from the lawsuit. Please contact Sadler & Company at 800-622-7370 if you would like to have a no obligation consultation on the simple wording that can be inserted into your membership agreement or rulebook.